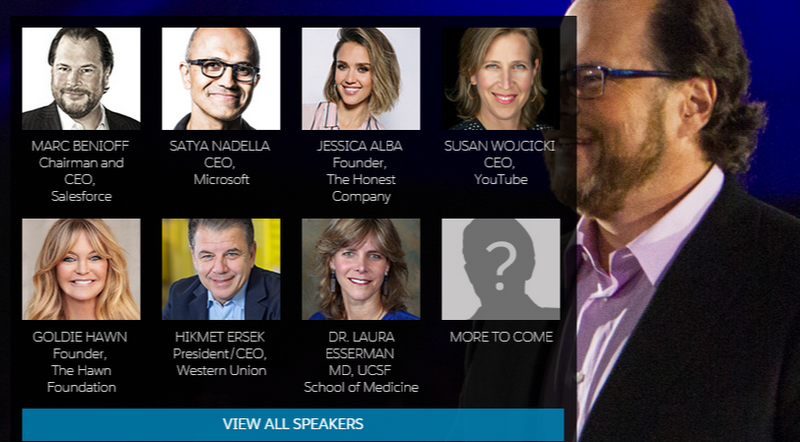 Like last year, this Dreamforce as well I will be presenting below 3 sessions. I would be sharing stage with my colleague Anshul to share information about WebRTC. WebRTC(Web Real-Time Communications) is a web technology that allows users to make video/audio communications natively over the web. 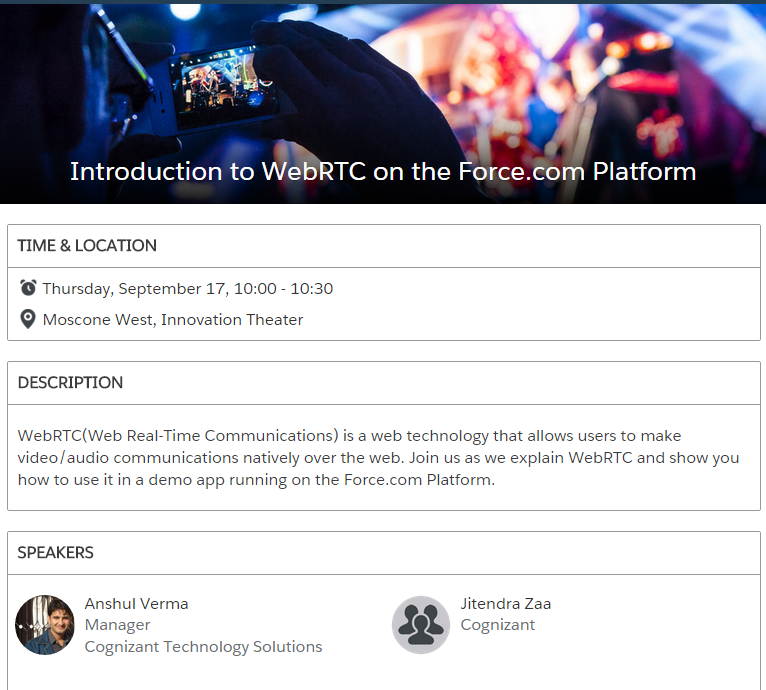 Join us as we explain WebRTC and show you how to use it in a demo app running on the Force.com Platform. No Slides, no presentation its also known as unconference if you attended Dreamforce 12. I would be discussing on Lightning Connect with some cool demos. It would be on 2nd floor of Moscone West. 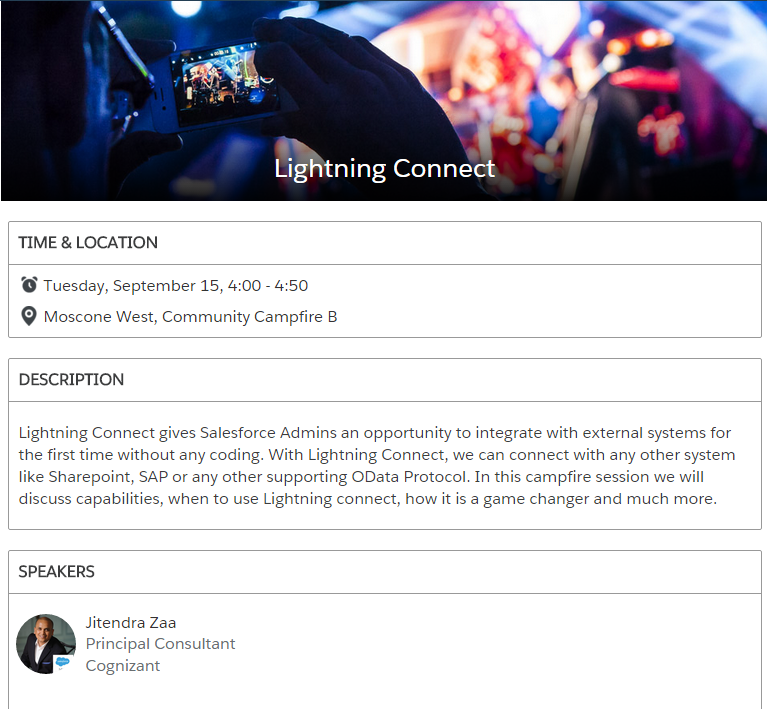 Would be 50 minutes session where we will be discussing our stories, questions, why need lightning Connect and much more interactive. This is two hour session on configuration capabilities of Salesforce 1 platform. I would be discussing many cool features of platform followed by Hands on. 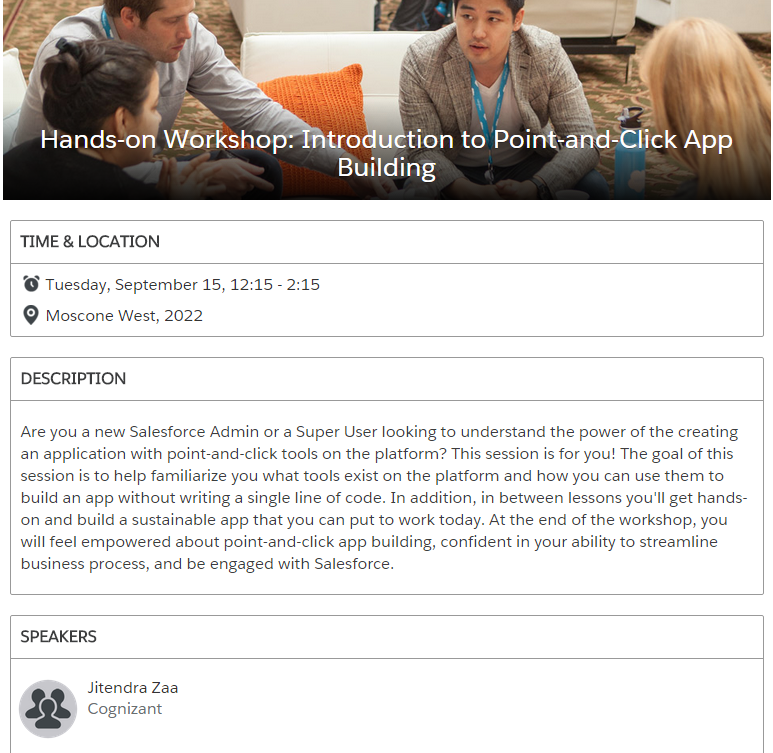 If you are new to Salesforce and want to learn basics and capabilities of platform then this session is for you. Force.com Canvas allows you to create apps in any language, running on Heroku or any other cloud app platform, that are fully integrated with Force.com. 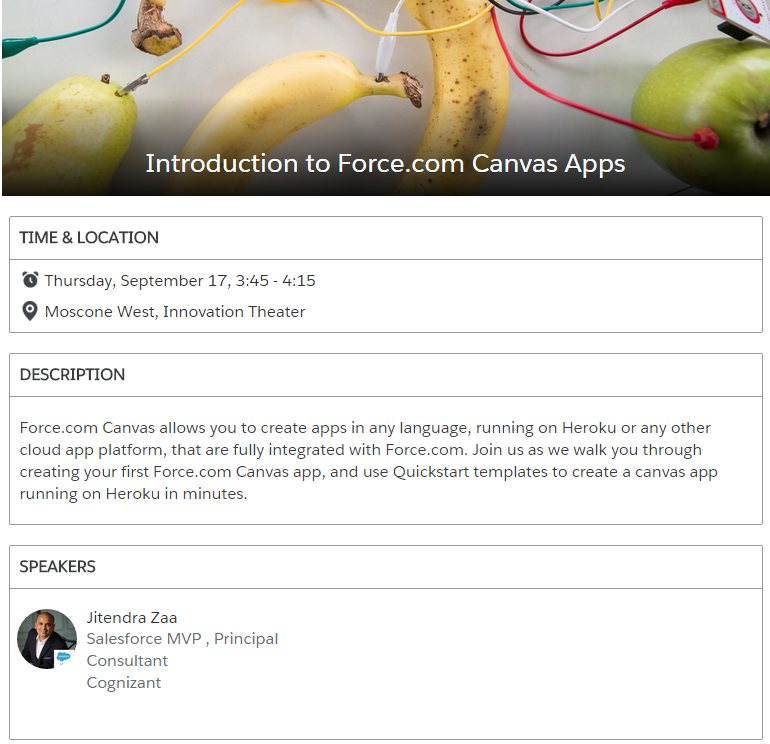 Join us as we walk you through creating your first Force.com Canvas app, and use Quickstart templates to create a canvas app running on Heroku in minutes. 1. Bidirectional(Rest API) integration between Salesforce and Woocommerce. a. It looks to see if the customer exists (query against person accounts) based on a customer ID. If the customer does not exist, it creates a person account. Please provide me guide or step for this. I realy Thankful to you sir.